The Brayford Road school is set to make a number of its lunchtime supervisors redundant. A primary school in Corby is set to make most of its lunchtime supervisors redundant. Exeter: A Learning Community in Brayford Avenue is believed to be set to make seven of its nine lunchtime supervisors redundant in a bid to cut costs. Staff discovered they were set for the chop after an email was accidentally sent to them. Their function is, in the future, expected to be filled by hard-working teaching assistants at the school. The lunchtime supervisors are said to be upset that the school is not acknowledging the vital role they play in keeping children safe and happy at lunchtime. One parent who is upset by the decision told the Northants Telegraph that the staff consultation was due to finish at Christmas - meaning they will be out of a job over the festive period. She said: “It’s been a real shock. “The supervisors originally found out because they sent them an email by mistake. The supervisors ensure order is kept in the hall during lunchtime and on the playground outside. Parents are said to be especially concerned after one incident where a person was seen taking pictures of the children through the fence. “They’re going to get the teaching assistants to cover lunchtimes, apparently, which I can’t see them being too happy about,” said the parent. 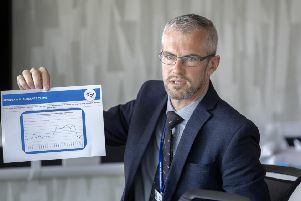 The school is run by the Wallace Academy trust (formerly Woodnewton Trust) and has been in special measures since 2016. It is in the process of being taken over by the Inspiring Futures through Learning multi-academy trust (IFtL). The trust’s current accounts are not available on their website but the last financial year’s reserves were £550,000 which trustees judged to be inadequate as they do not amount to 12 weeks of running costs. They said work was ongoing to continue to build up the reserves. It is not believed the other schools in the trust are affected by the decision. Headteacher Mark Ingham has recently resigned from the school and his successors will take over on January. The Wallace Academy Trust did not respond to requests from the Northants Telegraph for comment.